Welcome to our exiting collection of tea ware. Made exclusively in England, these beautiful floral designs and exquisite pastel colours are perfect for traditional English afternoon tea. 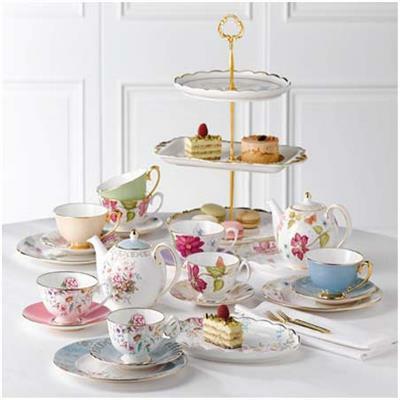 The range includes Tea set, cups and saucer, Cake plates, cake stands and biscuit plates.